Bad Customer Service, or Corporate Theft, from RCA/Thomson? My family has unwittingly joined a horde of Seriously Unhappy Consumers of RCA televisions and other products. Nearly 50 years later, the brand, the company and the quality have all changed. The RCA brand is owned by Thomson SA and the rights, licenses and lines of ownership and responsibilites are a blur of changing hands over the last decade. I don’t know if parts are made of cheaper quality stuff than they used to be, but the website promoting RCA is pretty and professional enough. We gather up the paperwork and I had kept the receipt, so my husband starts calling the number for Thomson. They explicity tell you in the paperwork NOT to contact the store you purchased it from, but to contact them. (If you are reading this, and lucky enough to still have time to return it as a refund, take yours back now and say a little prayer of thanks!) He also spoke to our local TV repairman, and searched online and at Ebay/Craiglist for parts, and he did found a single lamp kit for sale for 260.00. He waits on hold through various phone calls with customer service, because this thing has a 1 year warranty, and speaks to someone he can barely understand (the connection was so bad, I have to wonder if the support center is in China or very distant to us.) She says that she will send a shipping label to his email address, and to expect in either 4-8 hours, 48 hours, or 4-8 days. (That horrible connection!) At any rate, all of those have passed, and we still have no email. The shipping label is to send the lamp back, at which point the story is that they will send us a replacement that I guess we are responsible for installing. Our Bad Experience with RCA is Far from Unique! Sounds okay so far, right? Well… many people have been told this same story. In fact, I have saved a bunch of links of sites with names like “pissed consumer”, “complaints”, “ripoff report”, and “my three cents” all of which have multiple complaints from RCA buyers who have sad stories of their own to tell, some of them exactly like ours. Not exactly reassuring. Our lamp issue is fairly common, as is the TV turning itself off and on in some demonic-like state of possession, which would certainly be annoying. Several people online claimed RCA/Thomson customer service representatives and managers said that their TV would be picked up, and a refund check delivered within 6-8 weeks. I did not see saw an update to these complaints that confirmed a refund check had arrived. So… I am not an expert on product laws and consumer satisfaction rights, and this post only intends to pose the question about a company’s legal responsibility regarding electronic devices and equipment. We all hear about cases of fraud that are obvious, such as the Enron fiasco, but can a company make and sell products, that last just long enough to hopefully make it out of warranty before failing, and still be allowed to exist as a company? Or could this be some form of theft that somehow goes unpunished? When someone pays upwards of a hundred or a thousand dollars for something that works for a few months, but in case after case it fails and the company does NOT make good on warranty promises, why is that called “bad customer service” and not grand larceny? One of the complaint web sites has a tagline that says something like “customers in control”. But a volume of complaints online, for all the world to see, some with such heated vocabulary that as they write and start typing in all caps, you can picture the steam poring from their heads, has not yet done a thing for many of these consumers. Some have spent less than a hundred, some less than a thousand, and some have spent thousands on RCA products that may only work a few months to a few years. Is this the new expectation of electronics? Or is this the hallmark of a company who legally should have to make better products or stop selling them to people? Are there laws governing the length of time a tangible product has to work? This post will be updated, for the morbidly curious, as events happen in our attempt to either fix this television or obtain a refund. If you’ve had experiences, good or bad, with RCA products or the Thomson company, I’d love to read your comments, so please leave one. Today I called the customer service center and waited on hold forever before finally hanging up, and submitted a request via the RCA Contact Form, which states: “We’re always in the mood to talk RCA Television. As far as we’re concerned, it’s the most important thing in the world. After our customers, that is.” We’ll see. My husband had received the shipping label in his email this morning. Now he has to remove the lamp kit from our TV and send it back to them. It would be nice if they had sent some instructions. Fortunately for us, hubby is excellent at figuring out how things work, so he’ll manage just fine. Fedex delivered the bulb and The Oilman happened to be here and he fixed the TV immediately. Yay!!! We have our giant TV back. I hope this bulb will last a lot longer than the first one. For now, this issue has been resolved. I am glad you got yours resolved. We purchased an RCA LCD HDTV in Sept. 07. In Feb. 08 it started shutting down. We called RCA and they said we could send it back with $201.00 for repair and we pay the shipping to them. We did not agree. After numerous emails and phone calls we got no resolution. I contacted the Attorney General for our state and they contacted RCA/Thomson. In Sept. 08 they sent a letter and called saying they would buy the set back at a prorated amount of $493.52, we paid $1000.00. This was Sept. 29,2008. We contacted Thomson again in early October and were assured we would receive our check in 4 weeks. On Nov. 7 we contacted RCA again and were told that the check was approved but was held up at their Indianapolis office. We have since made over 20 phone calls and cannot get the person handling our case to return our calls. I have also sent at least 10 emails threatening a class actions suit. Today, Dec, 2 we contacted RCA again and were assured that our rep would return our call but never did. I send another email to the AG, I will update when we hear something again. As a note, I have purchased RCA TV’s for the last 35 years with no trouble like this. I am glad you resolved your problem, I hope we can get satisfaction too. BTW we also sent our TV back to them so we don’t even have it to get it repaired. In Sept of 2008 my Tv started going black – it turned out to be the Lamp – like yours. I went through all the reciepts – faxes and confusing customer service,I had a hard time understanding what they said, it took 3 phone calls but 3 weeks later I had my part – my son installed it for me and once again I was back on TCM – I was without TV during that 3 weeks – nobody at RCA cared. NOW it is July 2009 and my replacement lamp is going out again. I called the local RCA dealer before calling RCA support and he said RCA is not what it used to be – my answer was Amen brother!! After calling RCA customer support I now have learned the replacement bulb only had a 90 day warranty(that says alot about RCA right there) It has been 9 months and I will have to pay over $300.00 to replace the lamp and $55.00 service call. When I was talking with RCA support I asked to speak with a manager but was told after holding for over 10 minutes they were all busy and once agian he told me there was no warranty on the replacement lamp. He also told me the life expectancy of the Lamp is between 4,000 and 6,000 hours – when you divide that by 365 days in a year – you actually would have to replace the lamp every year if you watch over 14 hours a day of TV – Now I don’t watch that much but I used to leave it on all day – now I turn it off when I am not in front of it. To think I used to leave it on all day for my little Pomeranian when I was gone…they don’t tell you this when you buy the TV..
You seem to be our leader here on the Internet and I think your lamp will soon go out again – sorry, I hate saying that – but I agree with the poster before me – we need to do something – we should organize and find someone to help – this is Corp. greed at it’s worst – If they can not make a lamp that last longer than a year they shouldn’t being selling it. So once again I went to the RCA website and wrote them an email which I am sure they will never answer. My son wants me to make a YOUTUBE.com video and tell the world what a rip off this company is…Let me know what you think – Thank you for posting this story – it has been a blessing to find out I was not alone.. I used to service TVs and RCA is the worst to work on. Wont get parts to me in time, dont know what to do about troubleshooting or get a schematic and so on…Buy Sony or Toshiba. In December 2009 we bought a L32HD31 from Wal-Mart for our mother and it appeared to work fine for 4 months or so. It went to no sound the blackscreen. I called customer service reps to no avail. They keep changing their time frame and send you looking for other details on the set. “Does there appear to be a glowing light coming from the back of the set, is the power light blinking or on”. We have the set placed back into the orignal box. I don’t want to keep taking it out of the box look for blinking lights or soft glowing lights. My mother is 81, what would she have done if she had no one to help her. What rights do we have to insure us that a product will actually work. This seems to be a scram. I wish I had this info regarding RCA before we bought this TV. You would think WEal-Mart would be a little concerned about who they are in business with. 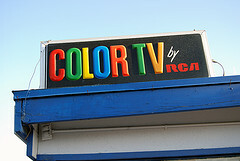 Purchased 2 RCA tvs in 2007. After less than 4 years both tvs are dead. Corp. customer service said they would repair or replace. A week later they changed their mind. RCA does not stand behind their products. It is a corporation of theives and liars. I thought RCA was a quality brand. My mistake. STAY AWAY FROM ANYTHING WITH THE RCA LABEL!!! They make trash. David, I hear you. This TV we bought in 2007 that I wrote about, is going to have to be replaced. Now the screen has white “snow” dots all over it, at the bottom, and they are rising to the top. I guess anything electrical is just not made to last at all. It’s 5 years old. I remember when TV’s were made to last 20, 30, 40 years. We are choosing a replacement and it will NOT be RCA.